Visit us at the Grocer this April and taste our new range of Summerland House Farm preserves! 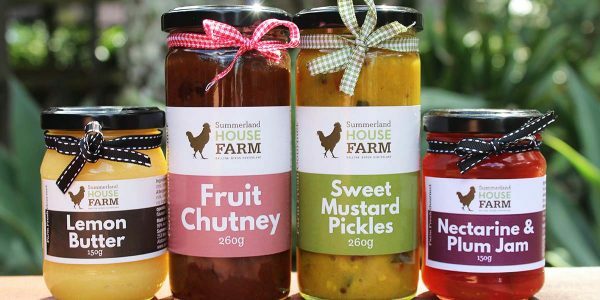 Introducing our brand new range of Summerland House Farm preserves. Our new range of jams, chutneys, butters and pickles takes up the challenge of sustainable farming by turning our farm fresh produce into delicious and quality gourmet preserves for you to enjoy all year. 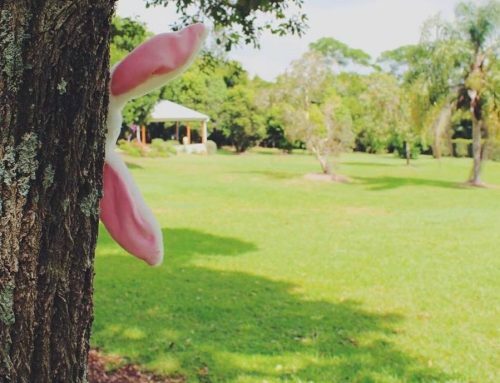 We support local farmers by incorporating their seasonal fresh fruit and vegetables into our range, and in turn, your purchase from our supports House with No Steps to provide opportunities for people with a disability. Our Lemon Butter is full of fresh real lemons and pastured eggs direct from Summerland House Farm hens. It is delicious on toast, swirled into a cheesecake, mixed with whipped cream on a cupcake or spread onto pancakes. Our Fruit Chutney has been hand made in the café for our burgers for years and is now available for you to purchase. Full of apples and fruits with our own mix of seasonings, it is a perfect accompaniment to any meat dish. Our Sweet Mustard Pickles is made with loads of veggies mixed with the health benefits of turmeric and vinegar. With no artificial colours or flavours, it turns a ham and cheese sandwich into something special! It can simply be added to cold pasta to make a salad or add chicken to make a meal. Our Nectarine and Plum Jam is the newest to our range and takes advantage of local stone fruit. Our jam is packed full with fruit and you can taste the difference. Enjoy it on toast, scones, a sponge sandwich or on jam drop cookies for something special. Limited stock during stone fruit season so secure yours now!